TV show dates: November 24, 2018 — present. Performers include: Scarlet Spencer, Dallas Dupree Young, Micah Abbey, Ron G, and Ishmel Sahid. From creators Kevin Kopelow and Heath Seifert, the Cousins for Life TV show is a live-action sitcom for kids and tweens. 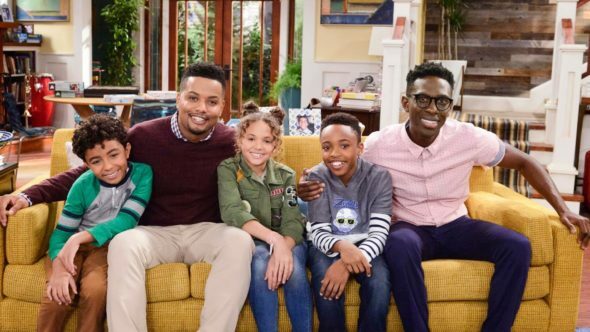 The buddy comedy follows Ivy (Spencer) and Stuart (Young), 12-year-old cousins who are best friends, despite the differences in their backgrounds. When Stuart’s mother is deployed overseas, he and his father, Clark (Sahid), move to Portland, to live with Dad’s brother Lewis (G), father to Ivy and Leaf (Abbey). Ivy is a confident and quite social, while her brother, Leaf, is extraordinarily curious, and Uncle Lewis is kind of uptight. Stuart is now in a whole new city, and he and Ivy are poised for all kind of adventure. Still, their very different families must learn how to live together in peace. Can they pull it off? Stay tuned. What do you think? Do you like the Cousins for Life TV series? Should this Nickelodeon TV show be cancelled or renewed for another season? RENEW IT!! My kids can’t stop watching! !